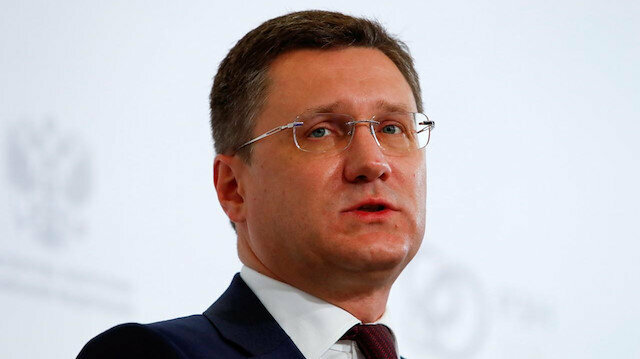 Russia will be able to deliver natural gas under long-term contracts to the European Union even in absence of a new gas transit agreement with Ukraine by December 2019, said Russian Energy Minister Alexander Novak on Tuesday. According to Russian news agency Sputnik, Novak said that under any circumstances, Russia guarantees the deliveries of gas under long-term contracts signed by Gazprom. "In this sense, European consumers will be provided with the needed volumes of gas," the Russian minister said. He stressed that a constructive dialogue with Ukraine was hampered by the legal dispute between Ukraine's Naftogaz energy company and Russia's Gazprom energy giant over the deliveries and transit of the Russian gas. The news came as the European countries voiced their increasing worries about Russian natural gas supplies after Russia denied to renew existing transit agreement with Ukraine. Ukraine, which lies between Russia and Europe, is the main transit route of Russian natural gas exports to the EU. Following the crisis between Moscow and Kiev, which is exacerbated by the annexation of Crimea by the Russian forces, Kremlin started to use natural gas transit fees as a threat against Ukraine. Moscow did not renew the transit agreements with Ukraine, which will cut natural gas transit to Europe by the end of 2019 via the country.